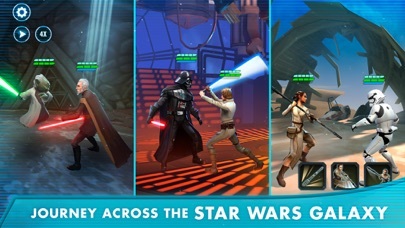 Star Wars™: Galaxy of Heroes - App - iPod, iPhone, iPad, and iTunes are trademarks of Apple Inc. I absolutely love this game. I’ve been playing it for just about three years now. 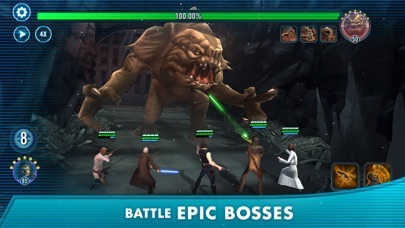 I really enjoy how they use the entire SW universes cast of characters from the movies, TV shows, books and over video games. 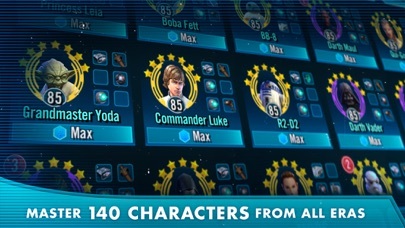 But this is supposed to be a strategy game and there’s no strategy in being able to purchase a character(s) fully stacked. 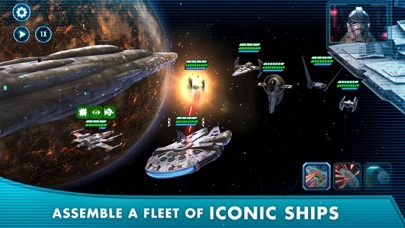 This game makes you so much money, fix the aspect ratio for iPad users. Be prepared open your wallet if you want to be competitive. 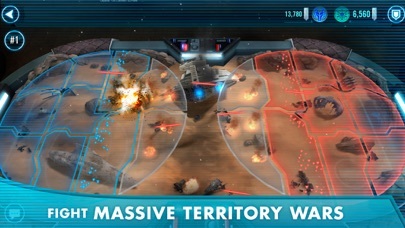 The past several moves by capital games has not been in the interest of everyday players, just whales. Rock Paper Scissors?? Who needs that?